We love tacos. A lot. In our house we not only have traditional Taco Tuesday. We have added Mexican Monday and Fiesta Friday for good measure. Wednesdays and Thursdays are reserved for waffles and bacon. Okay, okay. You’re right. Tacos and waffles every night of the week doesn’t make for a well balanced diet. My families health is important to me and I’m supposed to be talking about healthier food choices here. So, how about I remove the chemicals from these tacos by making my own healthy taco seasoning? Just imagine how much sodium I will be cutting out of our diet by mixing together a few spices I always have in the pantry. And that pesky MSG that loves to show its face in those little premade packages will be completely obliterated. Yeah, I feel better already. I’m not going to stop there. I’ll use my favorite grass fed beef and add some lettuce and homemade salsa with lots of veggies and looky there. Not only do I have a delicious family favorite but a healthy meal I feel good about serving to my family. Kind of makes you feel like a superhero when you make that kind of magic happen! It’s Not Just For Tacos. This taco seasoning is versatile. I can’t stress the importance of having a go-to ingredient when it comes to feeding your hungry family a delicious but healthy meal on the fly. 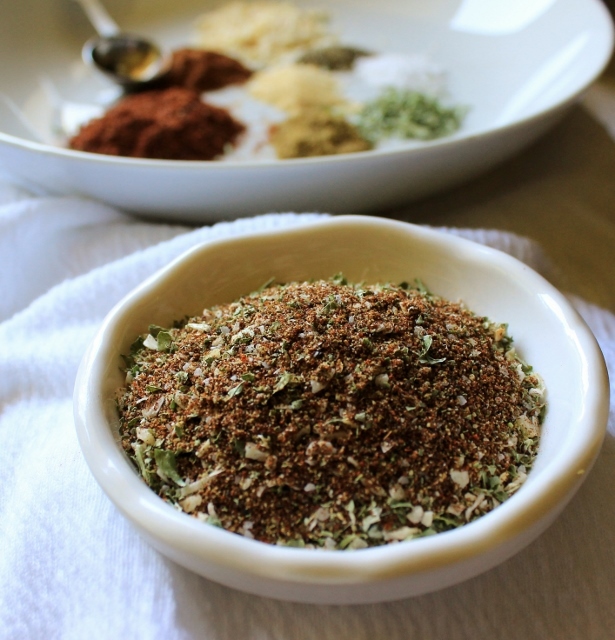 Use this mix for ground meat, chicken, and even steak. We love it in tortilla soup, crock pot chicken tacos, and it’s a fantastic choice for sizzling fajitas. The options are plentiful. It won’t take long until you are whipping up your own creations and family favorites everyone will enjoy. Now that’s a loaded question every mother dreads. And unless your answer is take out or mac and cheese you better be prepared to do battle. What’s the middle ground? Tacos. I don’t know a kid who doesn’t like them or at the very least tolerates them. Go ahead and shut them down the next time they question the evening menu. What’s for dinner? You know the answer. And don’t forget to do a little victory dance when they walk out of the room with nothing to say. I Knew I Forgot Something. It happens to me at least a couple of times a month. I leave the store without the ingredient I specifically went to the store for. I know this happens to everyone but it is a real bummer. Mainly because I am relying on that ingredient to make the family dinner. Now, I haven’t purchased taco seasoning from the grocery store in a long time which is great since this is the item I was most likely to forget picking up on my shopping trip. Having this homemade mix at home with save you so much time. You’ll never have to make a special trip to the store for a packet of seasoning again. Ever. You must break free from the packet. I know it’s not easy but you can do it!Now you just need a few ingredients I bet you already have and a container to store them in. Mix the spices in your container and your good to go. 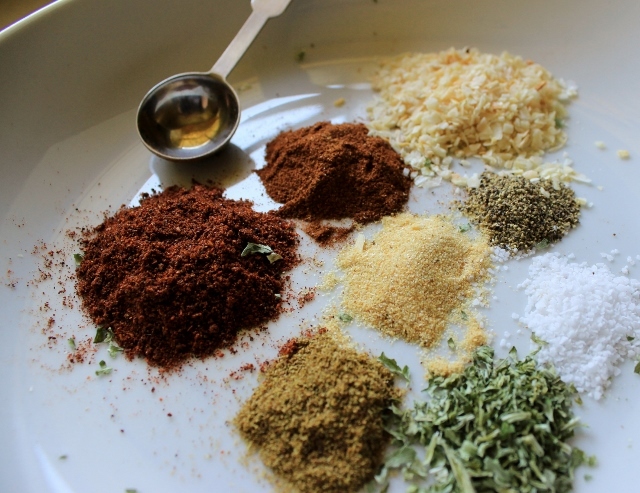 You prepare the tacos with the homemade taco seasoning the same as you do with the packet. One serving will season one pound of meat. So what are you waiting for? Oh, the recipe. Here you go. Mix all the dry ingredients in a container and store until ready to use. Add the seasoning to one pound of browned ground beef. Stir in 1/4 cup of water and simmer for 5 minutes. Wonderful recipe! We do lots of Mexican at my house, too, and this would be so perfect to keep on hand! Definitely pinning this to share! And such a cute post (the loaded question every mother dreads … lol!) 😀 – I’m so excited to have found your blog! Thank you Shelley. I’m glad you found me, too! Gahhh, that question makes me crazy. So much drama in my house. :) Well, I hope you get a chance to try this taco seasoning out. We really like it and it’s nice to know what your family is eating. Have a great day! 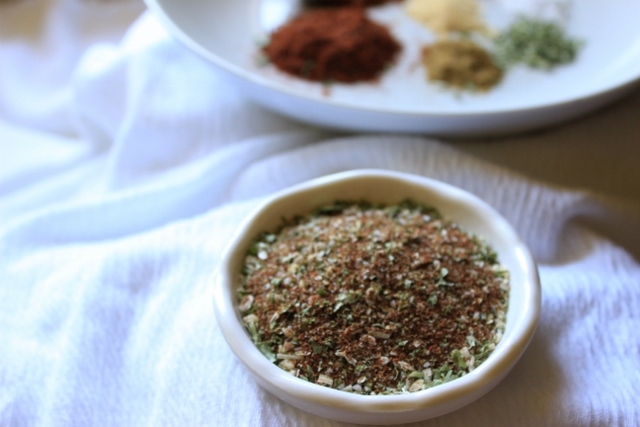 I love to make my own seasoning mixes and Mexican fare is a popular one at our house too. Sometimes I can handle that question. At other times, I nearly cringe! It’s certainly tacos on those nights! You’re smart; it’s so easy and such a money saver to make your own mixes. Kids love to throw you for a loop! Thanks for sharing ?